References do count towards page length — i.e., references may not spill over onto a 9th page. Authors are strongly encouraged to include an illustrative Video (5 minutes maximum, recommended 2-3 minutes) in 1080p H264 mp4 format to better explain what they did and what they learned. Submissions that do not include a video must comprise at least 4 pages of extended abstract. At the conference: Accepted Case Studies will be presented at the conference in 20-minute time slots assigned by the conference committee. Authors should share their video as part of their presentation (up to 5 minutes) and plan to spend roughly half of their time answering questions and participating in discussion about their case study. Authors might be asked to focus on particular aspects of their case study (e.g., surprises, learnings, implications for practice) during their presentation to maximise the benefits of the presentation to conference attendees. After the conference: Case study extended abstracts will appear in the Extended Abstracts proceedings in the ACM Digital Library. Case Studies are compelling stories about HCI practice based on real-world experiences that will be instructive and of interest to other members of the community. Based on the concrete cases of research and design, HCI practitioners and researchers will learn how HCI principles and methods can be applied in practical HCI work. Case Studies differ from archival research papers in that Case Studies do not need to define themselves as part of the potentially longer-term body of academic research. Case Studies are not considered academic archival publications, but can be republished as such, as appropriate. They might not have as extensive a literature review as archival research papers, or might not explicitly add to HCI theory within an academic school of thought. The SIGCHI “Best of CHI” awards honor exceptional submissions to SIGCHI sponsored conferences. Based on reviewer recommendations, the CHI Case Study chairs nominates submissions for the Best Case Study Award, as appropriate. A Case Study must be submitted via the PCS Submission System by October 17, 2018. The Case Study submission must have an extended abstract, and can also have supplementary material. We strongly encourage including a video as supplementary material. Extended Abstract (the paper). The primary submission material consists of an extended abstract in the Extended Abstract Format (2-8 pages). The extended abstract should describe the authors’ experience, focusing on the lessons you want readers to take away from the presentation. Your extended abstract must stand alone; readers must be able to understand the Case Study with only this material. The evaluation of submissions will not be constrained by traditional academic expectations, but will be based on the significance of the Case Study’s contribution to the field of HCI practice and on how compelling the story of the Case Study is told. Accepted submissions will be chosen on the merit and contribution of the report, not only on the quality of the outcome that it describes. This means that a valuable lesson learned from a poor outcome is just as acceptable as a valuable lesson learned from a good result. Submissions will be reviewed by an expert panel of HCI practitioners and practitioner researchers. Authors will receive the reviews of their submissions after the decisions are announced, and should keep in mind that the Case Studies program is a Juried contribution and thus does not follow the strict peer-review process as applied to Papers. In particular, the Case Study review process does not allow authors the opportunity to submit rebuttals. clearly outlines any limitations of the report as well as of the activity described. The extended abstract should contain no sensitive, private, or proprietary information that cannot be disclosed at publication time. Submissions may NOT be anonymous. However, confidentiality of submissions will be maintained during the review process. All rejected submissions will be kept confidential. All submitted materials for accepted submissions will be kept confidential until the start of the conference, with the exception of title and author information which will be published on the website prior to the conference. Authors will be notified of acceptance or rejection on 28 November 2018. Notification of accepted submissions will include instructions on how to prepare and submit the publication-ready version. These will be due on 18 February 2019. Participants will be given a slot for presenting their case study during a scheduled session. Each accepted case study will be given 20 minutes including questions for their presentation. Authors might be asked to focus on particular aspects of their case study during their presentation to maximise the benefits of the presentation to conference attendees. Please see the Guide to a Successful Presentation for information about standard computing and A/V equipment that will be made available to presenters at CHI 2019. The Best Case Study award will be announced at the conference. 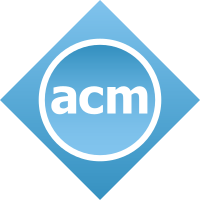 Accepted Case Studies will be distributed in the CHI Extended Abstracts, available in the ACM Digital Library. Videos will be attached.